The Aussie Quokka's (above) are the cyootest & friendliest little beasties!!! Hey they didn't mention our Platypus!! Caree just awesome thank you for caring2share these animals with us. 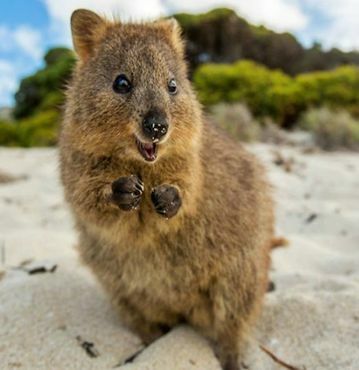 Agree that the Quokka is so adorable. Thank you for sharing, noted..
Tks very much for sharing this art.